Martin is co-executive director of the Robert C. Maynard Institute for Journalism Education. 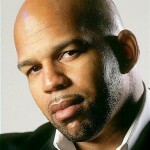 He began his career at the Oakland Tribune as a Chips Quinn Scholar intern in 1995. Since then he’s worked his way through the ranks as a reporter, assistant city editor, associate editor for special projects, managing editor and finally editor-in-chief in May 2008. He served as editor-in-chief until Dec. 2011 when he moved into a new regional role focusing on community engagement. Martin was one of the lead editors on the award-winning Chauncey Bailey Project. He has fostered relationships with academic and philanthropic institutions to expand the Tribune’s reach and serves on the board of directors of the Maynard Institute for Journalism Education. In 2013, Martin was named Innovator of the Year by the Tribune’s parent company, Digital First Media, and is an at-large board member of the Associated Press Media Editors. Martin is a Bay Area native. He was born in San Francisco, raised in Berkeley and moved to Oakland in 2000. He lives in West Oakland with his wife and two children. 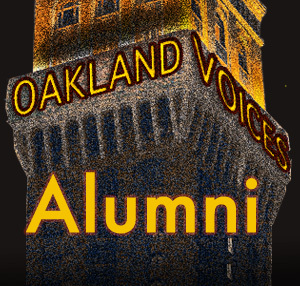 Rasheed Shabazz is coordinator of the Oakland Voices program for the Maynard Institute for Journalism Education. He is a multimedia journalist, with experience in print, digital, and broadcast journalism. Rasheed was born in Oakland and grew up in West Alameda. 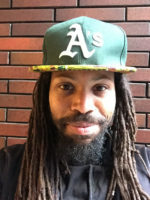 Rasheed’s work has been published in the East Bay Express, East Bay Times, Indybay, Oakland Local, Oakland Post, San Francisco BayView, and The Final Call. He previously hosted and produced radio news at KALX and hosted the The Black Hour podcast with the Peralta College’s 9th Floor Radio. After receiving his Associates Degree in Journalism at Laney College in Oakland, he transferred to UC Berkeley and received Bachelors’ Degrees in African American Studies and Political Science. While at Cal, he received an inaugural Google-AP Journalism and Technology Fellowship to launch a news website for the student magazine, Onyx Express. After graduating, Rasheed received a year-long Visiting Scholar appointment to teach journalism and media literacy with students on University of California campuses. Rasheed is a yoga teacher and triathlete, photographer, writer and world traveler. Evelyn is co-executive director for the Robert C. Maynard Institute for Journalism Education. She began her journalism career at the San Francisco Chronicle, where she was a city hall reporter and a member of the investigative team. She spent eight years at The Washington Post as a metropolitan reporter covering politics and government and as an assistant editor for the paper’s weeklies. From the Post, she joined the American Press Institute in Reston, Va., as an associate director responsible for designing and leading seminars on editing, management and writing. In 2000, she joined the faculty of the Poynter Institute in St. Petersburg, Fla., where she worked on programs for students and on mid-career programs on management and writing. She is a graduate of the University of California, Berkeley, and of the Maynard Institute’s Summer Program for Minority Journalists. She is a past national president of the Asian American Journalists Association and was a key organizer of the first UNITY conference that brought together more than 5,000 journalists. She has served on the Accrediting Council on Education in Journalism and Mass Communications and on the board of the Student Press Law Center. She served on the Youth Services Committee of the Newspaper Association of America.